Sunshine. Pure, unfiltered sunshine. That’s what Doris Day reminds me of; that’s what she is. Even her name sounds like a glorious spring morning. And today, this icon of Classic Hollywood turns 93 95 years old. One of my favorite Doris Day movies is Move Over, Darling (1963), which paired her with James Garner. They also appeared in another favorite from that same year, The Thrill of It All. Day and Garner are truly one of the most terrific and overlooked movie duos. Move Over, Darling is a remake of the 1940 film, My Favorite Wife, starring Irene Dunne and Cary Grant. Remakes today have a bad reputation and usually for good reason. But in the case of Classic Hollywood remakes from the 1930s-1960s, I’ve found myself enjoying the remakes just as much as or even more than the original. 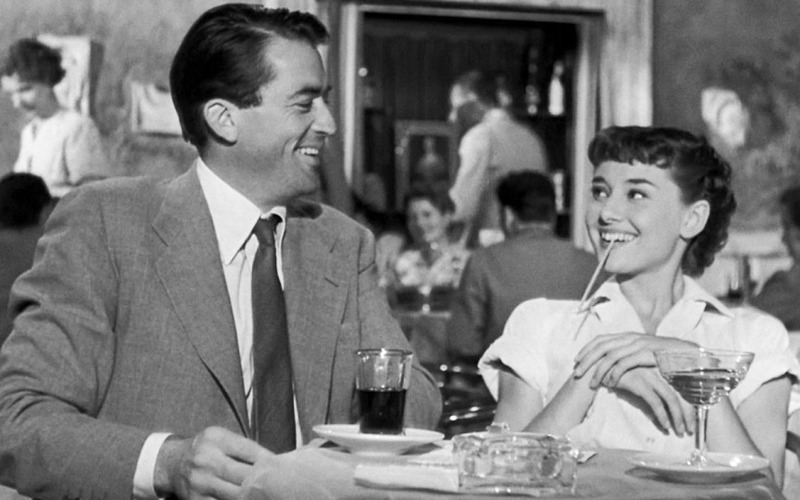 My Favorite Wife is a perfectly wonderful film, but I do prefer the Day-Garner version. I’ve read at least one review that claimed James Garner is no Cary Grant. Well excuse me! I honestly think that’s the only bad thing anyone could say about James Garner, which just goes to show how much of an appealing personality he was onscreen. And what a tremendous person he was in real life. And what about Doris Day? Is it fair to characterize her as a lesser Irene Dunne? Of course not. In the first place, she is sunshine. And she was definitely no slouch in the comedy department either. Nick Arden (Garner) is poised to marry Bianca (Polly Bergen) after declaring his wife Ellen (Day) legally dead. Ellen has been lost at sea for five years. Although moving on has been difficult, Nick decides he’s ready and that he loves Bianca, so they become husband and wife. But although she’s legally dead on paper, Ellen is very much alive. She’s since made her way back home with the help of the navy. Ellen and Nick have two young daughters who were just babies when their mother was lost at sea. Naturally they don’t remember her at all and are totally oblivious to her heartbreak. It’s one of the few sad moments in the film and Doris completely sells it. Her eyes are bright with tears, her voice and smile tremulous. She loves these girls; why can’t they realize who she is and jump into her arms, giving her the reunion she desperately craves? Ellen goes into the house where she gives Nick’s mother Grace (the always fabulously on form Thelma Ritter) the scare of her life. Once Grace recovers from her fainting spell, she explains to Ellen that Nick has remarried. Ellen is distraught over this news but never fear; Grace tells her to disrupt Nick and Bianca’s honeymoon. Ellen is his wife but Bianca? She’s only the bride. When Ellen arrives at Nick and Bianca’s hotel (the same one that she and Nick also spent their honeymoon on), she discovers that getting her husband back isn’t as simple as she expects or demands. The scenes in the hotel, with Nick running back and forth between the two women, confounding the manager (Fred Clark) who understandably thinks Nick is a lothario, are some of the most hilarious in the film or any film. This remake still retains the wackiness of the original. Bianca wants him to stay put since it’s their wedding night and she’s very impatient, while Ellen refuses to listen to any of his excuses. It’s a delicate situation, but you sympathize with them both. Bianca not so much. It’s obvious that Ellen and Nick belong together and that they will smooth everything over in the end. This doesn’t make the progression of the plot any less interesting or fun. It’s all due to Doris Day and James Garner. They’re automatically believable as a married couple even though they haven’t seen, kissed or touched each other in five years. These are two people who are not only in love, but who like each other. When they’re reunited, Nick seems to have forgotten all about his new bride. Ellen tells him he has problems. What about Banaca indeed! When is she going to take the hint and leave?! Because you see, Ellen and Nick have to complicate life even further. Nick just can’t bring himself to tell Bianca the truth. Ellen, fed up, disguises herself as a Swedish maid in her own home. All the better to drive Banaca away, my dear. This actually makes me glad that Cyd Charisse, who played Bianca’s role in the unfinished Something’s Got to Give (1962), did not appear in this one. I just couldn’t root against her. The groom, fully clothed, much to his bride’s bewilderment. Since this film was released 23 years after the first, it has a much different quality. There’s definitely a ’60s vibe with its splashy technicolor and fashion. My Favorite Wife does get a clever reference here though, and Doris also sings the film’s title song! It’s worth everyone’s time. I wrote this post for Michaela’s Doris Day blogathon, celebrating the legend’s 95th birthday. Click on the banner to read more fantastic posts! Happy birthday to Doris Day! May her sunshine never dim. I completely agree with you about remakes from this time. I don’t think I’ve ever had a problem with a remake from classic Hollywood. Of course James Garner wasn’t Cary — just like Cary wasn’t Garner. While I enjoy My Favorite Wife, I’m not an Irene Dunne fan, so Move Over, Darling takes the edge. I’ll always lament that we didn’t get Something’s Gotta Give, though. Thanks for contributing to the blogathon, Simoa! Wonderful review! This is one Doris Day film I’ve been eager to check out because I love both her and James Garner separately, and together they’re such a fun rom-com team (as I’ve seen in The Thrill of It All). And that’s such a weird thing to say about Garner being no Cary Grant because he’s so charming and talented in his own way! I love this film, and I agree with you. As much as I like, “My Favorite Wife”, I have to say that “Move Over Darling” is the best of the two. Doris, and James had great chemistry. It’s a shame that they only made two films together. Don’t forget to read my article for the blogathon.